Teng Eng has a wide offering of quality curry products for consumers. 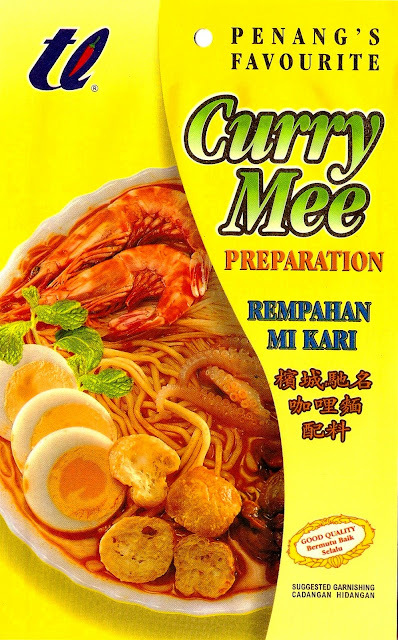 Established since 1977 in Penang, we maintain our food products to the highest quality. Our products are free from artificial flavours, artificial colours and preservatives. We emphasise the use of natural ingredients and spices with the perfect blend to achieve taste that captures taste buds. 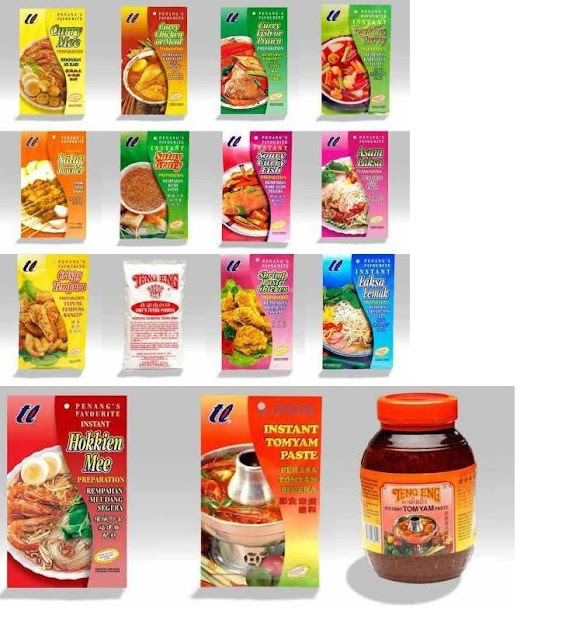 There is a selection of our famous local products available in Malaysia. For more information, please browse through our website, or contact us. 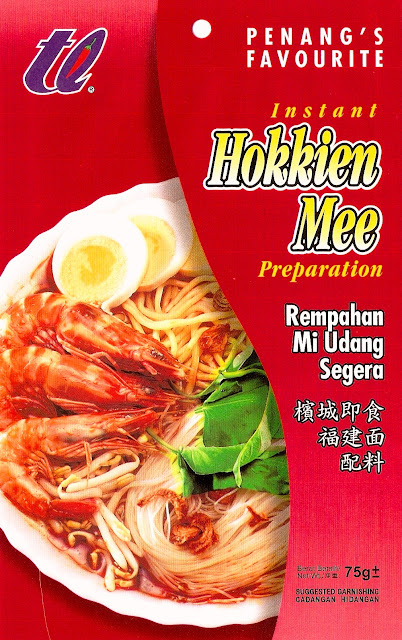 1 pack TE Instant Hokkien Mee Soup Paste, Egg Noodles, Bean Sprouts, Prawns, Boiled Eggs. 1. Dissolve contents into 1 litre(3 bowls) of boiling water. 2. Serve soup with noodles, prawns and selected ingredients. Suitable for steamboat/hotpot, fried rice, fried noodles or stir-fried vegetables. 1 pack TE Asam Laksa Soup Mix, Mashed Sardines/Tuna, Tamarind Juice/Lime Juice, Blended Onions, 3 litres of Boiling Water. 1. Pour contents into 3 litres of boiling water, blended onions, a can of mashed sardines/tuna, add in some tamarind juice, salt and sugar to taste. 2. Boil for 30 minutes. Serve soup with laksa noodles.